I remember the day my husband gleefully arrived home from work with three homeless and abandoned kittens. He just beamed when the kids scooped them up and cuddled each mewing fluff ball of pending responsibility. Yes, that moment of blissful love and connection comes with a hefty requirement attached for they will grow to be cats and require a life-long commitment. But, other than physically, do we symbolically bring our volunteers home when we start friending them on social media? And what are the implications for being connected to our volunteers beyond the workplace? Or how about Lena, who spent so much time involved in her volunteers lives beyond their volunteering that her evenings were spent liking posts and commenting on cute photos of Granddogs’ shenanigans. Or Jessup, who befriended so many volunteers on social media that he started following anyone who followed him in case he might snub one of his volunteers and ended up with a hacked account . Or Marley who learned one of his volunteers was cheating on his partner while innocently going through posts. Hmmm, it’s a great big involved world out there, so what do we do, ban all volunteers from interacting with us after hours? No, of course not, that’s not only unreasonable, it’s just not us. We care about our volunteers and realize that what happens in their lives impacts their volunteering. 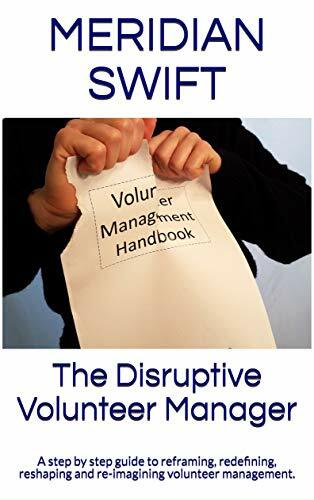 We don’t wish to be the cold authoritarian manager and so we come to respect volunteers as they relate to us: Associates, neighbors, peers, fellow do-gooders, and yes, friends. Then the question becomes, can we keep these relationships separate and confined to working hours? How is official information communicated? Do your volunteers rightfully think that you know they will not be able to make their volunteer committment because they posted their illness or vacation on social media? Having a policy in place on how official volunteer absences are communicated will eliminate the chaos of word of mouth or “I just figured you knew” scenarios. Will every volunteer be treated in the same manner on social media? What about those volunteers who don’t subscribe to social media or rarely post their children’s first soccer game or their latest duck in puff pastry with pomegranate red wine reduction recipe? Will they feel left out? What about the volunteer who posts every detail of their lives? How will you pick and choose which posts to like? How much valuable time and precious energy do you spend on keeping up with volunteers’ personal lives? Let’s face it, we are human and only have so much energy to expend on our jobs, our families, our friends, our interests, our education, our health and our well-being. When we start spending more and more time on keeping up with volunteer pursuits outside of volunteering, what aspect of our lives are we cheating? Is it possible that your social media connection can become a place to publicly whine or complain? If you are always “available” via social media, why wouldn’t a volunteer message you or worse, post a complaint? Then will other volunteers chime in until you have some real or imagined dirty laundry aired for everyone, including potential volunteers, board members, other staff and administration to see? What we do know can hurt us: Too much information can color the way we view our volunteers. What are their political or religious beliefs? How do they treat their family and friends? What are their attitudes towards other people and topical issues? Would this knowledge make us think more or less of them and how do we handle that? How much of our personal lives do we want our volunteers to know? Social media is a two-way street. Do we want our volunteers to know about the escapades we share with our close friends? How do we view our role as a volunteer manager? Are we friendly supervisors, good buddies, caring peers, empathetic coaches or a bit of all? In reality, we are in charge and we manage the volunteers’ experiences. The more professional our approach, the better the experience for all volunteers. Next time you want to bring that adorable little cuddly volunteer home with you, just keep in mind there are serious commitments and pitfalls associated with that warm and caring intention. Always striving to keep professional relationships with volunteers not only benefits them, it benefits us as well. Unless you really want a household full of cats. Great post! It highlights the necessity of having a healthy balance between work and play. This can certainly be difficult because a good portion of the work in this profession is centered around rapport building and establishing relationships. So it can be easy to allow those two to overlap and bleed into aspects of your life, that if not careful, can lead to fraternization, inappropriate relationships or even burnout, because now you’re personal and professional life is one and the same. Personally, I maintain the same boundaries with volunteers as I would with any of our paid staff. For me, this helps me compartmentalize the way I need, in order to avoid burnout, and maintain a positive relationship in a professional manner, while minimizing any risks associated with mingling the professional and personal relationships. For me, the creation of boundaries is much needed, but can also be difficult to maintain. Hi Jerome and thank you for those great points-I think looking at volunteers in the same way you do staff is a great way to view relationships with volunteers in a professional way. And since we are their supervisors, think about your own boss fraternizing with staff-how messy is that? And your point about maintaining boundaries being difficult, I hear you! 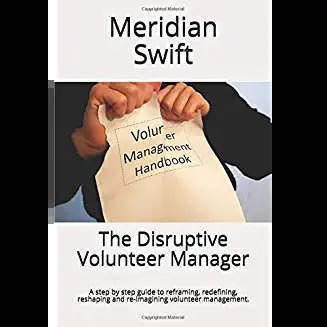 It is one of the most difficult tasks in volunteer management, one that takes constant vigilance and readjustments and is fraught with missteps. We’ve all crossed boundaries on occasion, and learned from those hairy experiences. Boundaries is the big elephant, as you have noted above. So – add another topic to training for managers, and also for volunteers? That would save some worry about the fluffy kittens. Great point Sue-educate everyone (staff, volunteers and even clients) up front about professional boundaries and why they are essential for the good of all. Excellent advice for all of us and professional boundaries with volunteers, and keeping our work/home life well apart. Well said, Eileen and thank you for sharing your experience. I think sometimes it boils down to our perception of ourselves-supervisor vs buddy. When we’re buddies with volunteers, expectations shift and our jobs become much harder and time consuming.